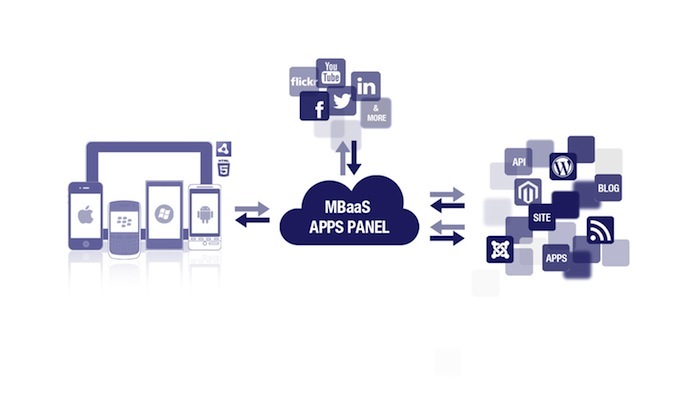 Backend as a service (BaaS) and Mobile Backend as a Service (MBaaS) is synonymous, arrived after the first iPhone’s usage of cloud storage and other services. Backend as a service or Mobile Backend as a Service is not among the standard terminologies. The arrival of the first iPhone in 2007 has led to a profound change in use of the Internet so far, the dominant mode of access to the Internet was through a web browser from a desktop computer or a laptop with limited mobility due to its size. Symbian add a bit mobility but itself had licensing issues, malware issues etc. and was not capable to use Backend as a service (BaaS) and Mobile Backend as a Service (MBaaS) efficiently. resources, it is no longer necessarily to have a HTML web browser, specialized apps can also work offline for the most cases and is capable of interaction with the user. Generalization of geolocation and photography allows the user to interactive with its environment. The storage of information is increasingly has shifted to the cloud. These Mobile apps usually require a set of features on the backend, like push notifications and cloud storage which needs RESTful API, integrating however can be time consuming for the mobile app developers. Backend as a service (BaaS) and Mobile Backend as a Service (MBaaS) is actually a bridge for various cloud based services. Today the mobile apps are much more demanding; they need to be available in the different apps stores, their number of daily installation is huge, there are various types of mobile – lot of variables. Backend as a service (BaaS) and Mobile Backend as a Service (MBaaS) solve these problems of heterogeneity of tools. This Article Has Been Shared 8757 Times! Cloud Service in Motor Vehicles and Cloud Connected Vehicle are way of solutions which are mostly came from Ford, Volvo and Erricson, Mercedes-Benz and others. PaaS Model as a part of Google Cloud, that is Google App Engine Google App Engine is for developing and hosting web applications, launched on April 2008. Cite this article as: Abhishek Ghosh, "Backend as a service (BaaS) and Mobile Backend as a Service (MBaaS)," in The Customize Windows, December 6, 2012, April 26, 2019, https://thecustomizewindows.com/2012/12/backend-as-a-service-baas-and-mobile-backend-as-a-service-mbaas/.